Nintendo and the Institute of Play have teamed up to bring Nintendo Labo kits into elementary classrooms nationwide, combining the innovative play of Nintendo Labo with the basic principles of science, technology, engineering, art and mathematics (STEAM) to inspire kids and help make learning fun. 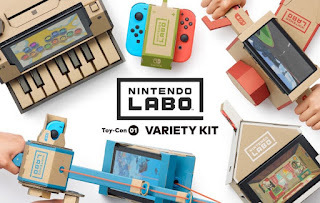 Nintendo will provide Nintendo Labo: Variety Kits and Nintendo Switch systems to participating classrooms to reinforce skills such as communication, creativity and critical thinking. The program aims to reach approximately 2,000 students ages 8 to 11 during the 2018-2019 school year. 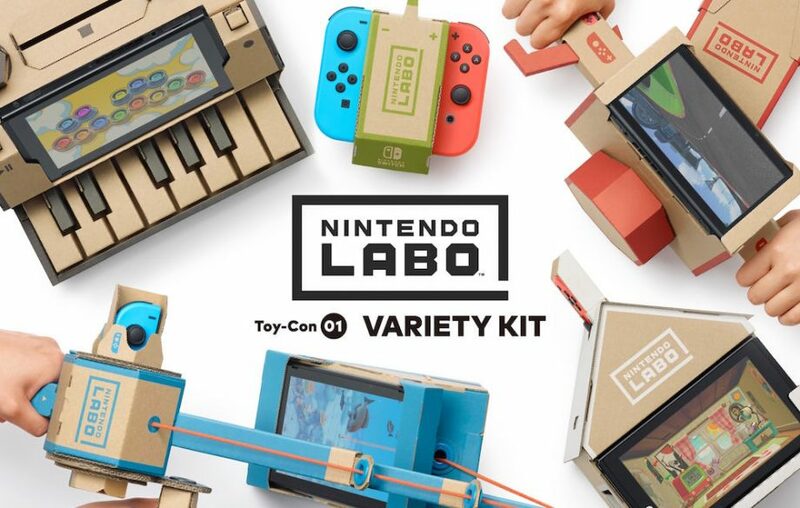 Nintendo Labo kits provide the tools to make DIY creations called Toy-Con, including a Fishing Rod, Piano and RC Car, among others; play games with these Toy-Con creations through a mix of physical and digital experiences; and discover how Nintendo Switch technology brings it all to life. Ever since the first two Nintendo Labo kits debuted in April, people of all ages have become amateur inventors using a mode included in the software called Toy-Con Garage. Toy-Con Garage introduces basic principles of programming, allowing anyone to use the tools and technology within each kit to develop their own imaginative creations, from fully-realized musical instruments to analog clocks and much more. Helping to build curriculum for the program is the Institute of Play, which works as a trusted partner with teachers and schools in developing play-based learning experiences for students. This specialized nonprofit research and design organization has an interdisciplinary team of educators, researchers, game designers and school leaders, which makes it especially qualified for this Nintendo Labo program. Nintendo and the Institute of Play also share a mission of making people smile. The Institute of Play is currently conducting a pilot program with schools in the greater New York area. Nintendo and the Institute of Play will use these pilot classes to develop a Nintendo Labo Teacher Guide that will allow other educators to implement Nintendo Labo in the classroom to promote the development of skills such as creative problem solving and collaboration. The Nintendo Labo Teacher Guide will include sample lesson plans and learning modules dedicated to basic elements of STEAM and the Make, Play and Discover components of Nintendo Labo. The guide will be available for free later this fall to anyone who wants to incorporate Nintendo Labo into their classrooms or homes. Once the pilot is complete, the program will expand to approximately 100 schools across the United States. Schools that wish to take part in the program can apply at http://instituteofplay.org/nintendolabo. Each participating school will be provided with Nintendo Switch systems and Nintendo Labo: Variety Kits, as well as the Nintendo Labo Teacher Guide. The in-classroom program will run through March 2019. This program is part of a broader North American initiative to introduce Nintendo Labo in different educational settings. In Canada, Nintendo is partnering with Actua, Canada’s leading education-outreach organization for STEM topics, to inspire Canadian youth to be the innovators of tomorrow through digital literacy programs that offer hands-on experience with new and emerging technologies like Nintendo Switch and Nintendo Labo.